I wanted to like quinoa. I really did. It was the early 1989 – before the earthquake – and Whole Foods was the new kid on the block. It was a great place to grab a Martian Martini (orange juice with spirolina) between jobs. I was an artist’s model then, and an artist. Struggling but happy. And I wanted to be healthy. So – in the same way that I believe a new haircut can be a life altering experience, I believed that if I purchased my food from Whole Foods my body would thank me by becoming healthy. Of course in 1989 my version of health had more to do with what I looked like on the outside and less to do with how I felt on the inside. Still, I was on my way to a perfect life. If only I could handle quinoa. It’s not that I didn’t like the taste. At the time Whole Foods sold a quinoa salad that was amazing. When I tried to make the same salad at home, however, it had a disturbing influence on my bowels. To put it delicately, the salad made me windy. Gaseous. Flatulent. And I mean “Danger, danger clear the room Will Fartinson” bad. But then I learned about saponins. Quinoa seeds have an outer coating of saponin. This gives the seed a bitter taste, making it unpalatable to birds. They also do my digestion no favors. In 1989 I did not know I was supposed to rinse my quinoa before cooking. Quarter of a century later and I am the Queen of the Quinoa Salad. Of course, most commercial quinoa is pre-rinsed in the factory. But that doesn’t stop me. Twenty-five years ago I lost too many friends to a cloud of noxious fumes. I won’t let that happen again. 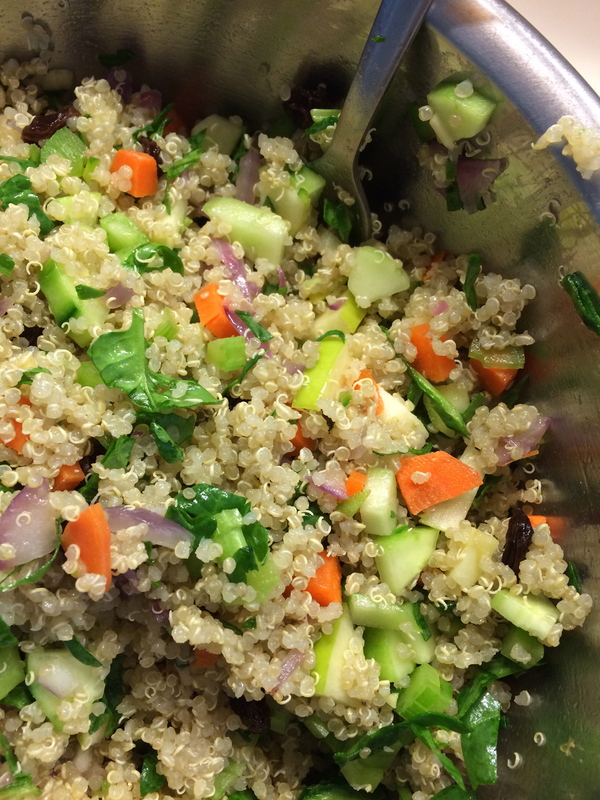 Cook one cup of quinoa in two cups water (this will make about 3 cups of cooked quinoa). Stir occasionally. You can add a splash of olive oil, a bit of bullion or a knob of butter to you r water, but to be honest I prefer just plain water. You’ll know your quinoa is cooked when you have a pot full of grains that look like tiny, tiny condoms. 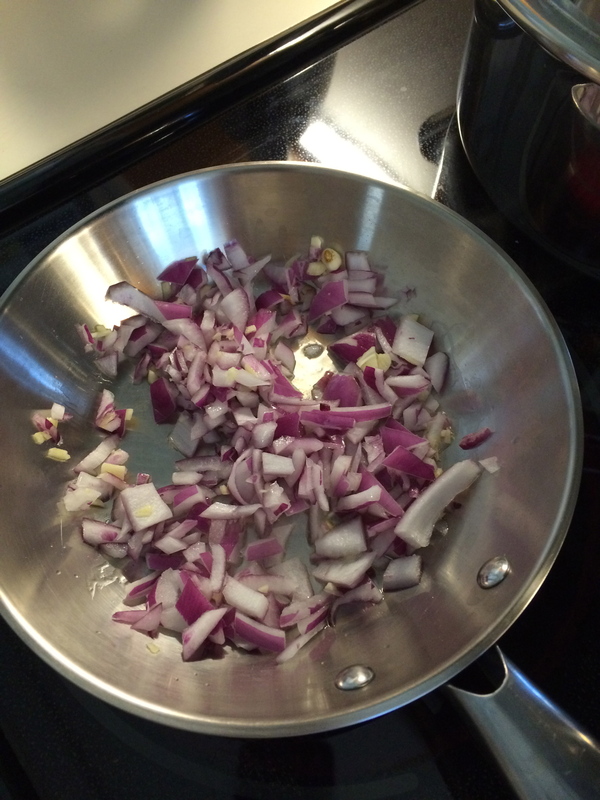 Dice a red onion and sweat over low heat. 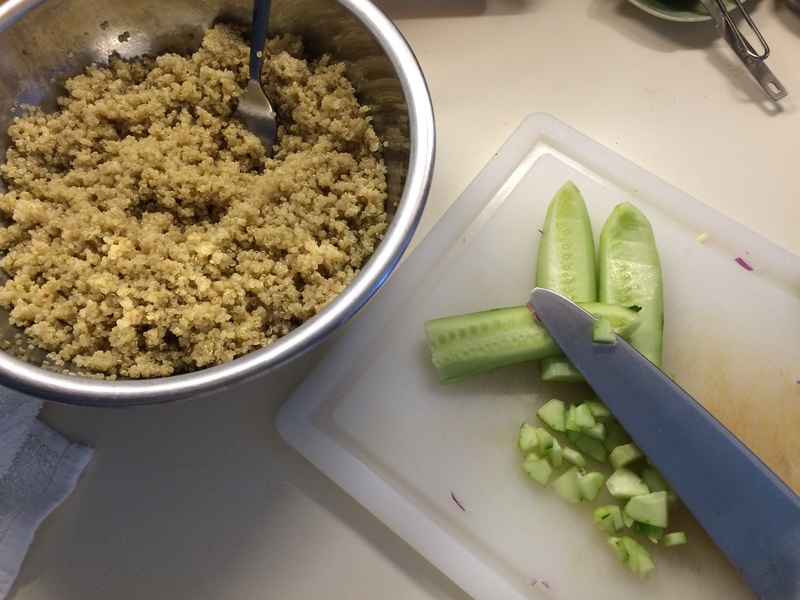 Raw onion overpowers the delicate flavor of quinoa. While the onion is cooking prep the remaining vegetables. I like a combination of carrot, celery, red radish, bell pepper and cucumber. Add herbs of your choice. I recommend basil or cilantro. Dress with a light vinaigrette – olive oil, tons of fresh lemon, a splash of balsamic. Chill for a few hours and then enjoy!